Deep cycle batteries are known for high degree of efficiency, durability and longevity. They are of much better-quality batteries than the conventional batteries in all respects. In addition, they are eco-friendly ‘green’ batteries that do not pollute the atmosphere. These types of batteries, as an alternate source of energy combine well with eco-friendly technologies. In view of so many advantages, people are increasingly using these types of batteries. Deep cycle batteries are designed to retain the charge for longer duration as compared to conventional batteries. The main difference between the two types batteries is in their applications. Most normal automotive starter batteries are designed to generate short, high-bursts of energy for cranking the engine of a car. Once the engine starts, the alternator of the car will begin recharging. Although normal types of batteries are very useful for starting the car, they are not the appropriate type to run other types of equipment where a stable supply of power is required for long hours. Deep cycle batteries are most efficient for such applications. A deep cycle battery can be charged regularly for a longer duration. It will make available a dependable power much earlier than the huge amount of power generated by the starter battery in sudden spurts. Unlike usual automotive starter batteries, deep cycle batteries are also useful in all eco-friendly applications. 2) Minimum level of maintenance. Deep cycle batteries do not require any complex maintenance. As opposed to earlier lead-acid deep cycle batteries, deep cycle batteries now use renewable energy, such as solar panels for power generation. Once the battery is fully recharged, it will store the energy inside the solar cells. The Photovoltaic (PV) solar panels used in the deep cycle battery along with other materials are easy to maintain. The recyclable deep cycle batteries are so designed that one need not spend any additional time in getting them recharged. They recharge on their own, store power and discharge the energy automatically when needed. The fully charged deep cycle batteries are capable of discharging stable power over a period of time. They are not only capable and highly efficient but also can be used for many years. A deep cycle battery has been an ideal alternate source of power. With numerous benefits, these types of batteries are the best means to decrease our reliance on fossil-fuel and thereby, help in protecting the environment. In contrast, conventional batteries do not offer so many benefits such as stable and high-quality power for long duration. Apart from this, these types of batteries are reasonably priced. 4) Can be used for wide-range of applications. 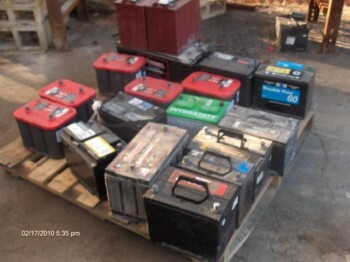 Deep cycle batteries are very useful in extensive range of applications such as electrically driven forklifts and floor sweepers widely used in industries, motorized wheel chairs in hospitals, energy storage systems for solar power or wind power, especially in small installations for a single building. It can also be used to supply power to instruments and other gadgets at remote locations, traffic signals, traction batteries to propel golf carts, providing power to motors in fishing boats, uninterrupted power supply, audio equipment and many others. Do you want to know how to recondition a dead deep cycle battery? If you do, click on the link below to visit Michael Llyod Battery Reconditioning web site for step by step instruction on how to bring a dead battery back to service life. ==> Click here to visit Battery Reconditioning!